The government is amending a law to make it mandatory for employers to provide an integrated and centralised labour quarters for their foreign workers by next year. Human Resources Minister Datuk Seri Richard Riot Jaem said his ministry will table the amended Standard Minimum Housing and Amenities Act 446 (1990) in Parliament on January 8 next year as part of efforts to provide better living conditions for foreign workers as well as address various social ills. “Hopefully, the legislators will pass this amendment to make it compulsory for all employers to provide basic minimum standard housing for their foreign workers,” Richard told reporters earlier today. He had earlier launched a centralised labour quarters comprising 40 units with three rooms each, which is able to accommodate up to 600 workers. At present, the existing law stipulates that only plantation companies must provide living quarters for their foreign workers. Some foreign workers in Malaysia are living either at hostels provided by their respective companies or at rented properties. If the amended law is passed, employers from all sectors such as manufacturing, security, food and beverage, and others will have to provide living quarters for their foreign workers. Richard said the effort is needed as Malaysia does not have a minimum standard for foreign workers’ living quarters which have caused various social problems. News of a drop in the unemployment rate has failed to impress either the Malaysian Trades Union Congress (MTUC) or the Malaysian Employers Federation (MEF). MTUC president Abdul Halim Mansor and MEF executive director Shamsuddin Bardan said the public should look beyond the numbers shown in a report that MIDF Research released last Tuesday. The report, which showed figures collected up to March this year, said the unemployment rate had decreased to 3.4% after three consecutive months of staying at 3.5%. 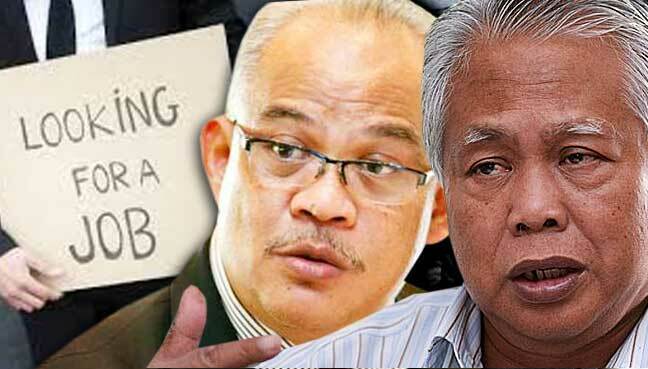 Halim said the report did not consider the fate of workers who had been retrenched. He told FMT it was more difficult for retrenched workers to get employment than it would be for new entrants into the job market. “Most of them lost their jobs mainly because of age,” he said. “And these people are usually rank and file and have not been provided with any position upgrade certifications. He also spoke of the challenge faced by young people who could not find jobs to match their qualifications. “If you give a job that pays RM1,000 to an applicant that has a college degree, of course the applicant will not accept it,” he said. Shamsuddin said the government should be focusing more on the youth unemployment rate, which is three times higher than the average national unemployment rate. He also said the private sector was hard pressed to create more jobs in the currently sluggish economic environment. Bank Negara Malaysia’s annual report for 2016 said the youth unemployment rate in Malaysia reached 10.7% in 2015. It said most young people could not find employment because they lacked experience and communication skills. MTUC and MEF say the public should look beyond the numbers. As the average working Malaysian struggles with the rising cost of living, stagnant wages and low savings or none, a pertinent question to ask is: how will they cope when they retire? The question becomes more frightening when one takes into account the increasing numbers of the elderly. What does the future hold for Malaysia after 2046, when those aged above 60 – the current retirement age – outnumber those below 15 years of age? Government statistics indicate that the proportion of the elderly has been steadily increasing, from 5.4% of the population in 1970 to 8.0% in 2010. By 2050, it is projected that the elderly will number 9.6 million, or 23.6% of the population. Ageing populations are already posing challenges for a number of countries. For example, Singapore now has only 4.9 working adults for each citizen aged above 65. Less than 50 years ago, it had 13.5 working adults for each elderly citizen. If the retirement age in Malaysia remains the same and life expectancy continues to increase, more people will be claiming pensions and fewer people will be working and paying taxes. This was pointed out to FMT by Ng Yeen Seen, who heads the Centre for Research, Advisory and Technology. She said higher taxes would discourage people from working hard, thereby affecting productivity. She also suggested promoting private sector pensions to add to the spending power of the elderly. The Malaysian Employers Federation (MEF) said a smaller manpower pool might not be the biggest problem in a country with an ageing population because industries would opt for increased automation. “The types of jobs needed in the future won’t be labour intensive,” said MEF executive director Shamsuddin Bardan. He cited a 2016 World Economic Forum report, which says as many as seven million jobs will cease to exist in leading economies by 2020 due to technological advancements. The report also says 65% of children starting primary school in 2016 will end up working in jobs that don’t even exist yet. “So, on one hand, we don’t need to be labour intensive but on the other hand, we have to make sure our education system can produce talents that are innovative, multi-skilled and highly adaptable to future market needs,” Shamsuddin said. He also said the government should develop a master plan for the ageing population and leverage on the ability of the elderly to be economically active. 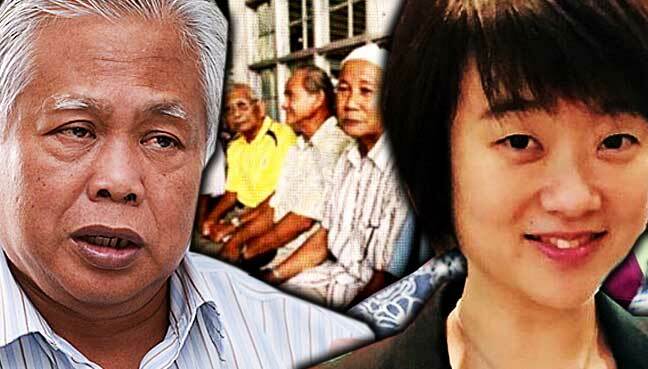 He noted that Malaysia had yet to develop such a policy, saying this had resulted in a “waste of potential” among the elderly. It is estimated that about 200,000 people retire from the Malaysian private sector every year. Shamsuddin said Malaysia should emulate Thailand and Singapore, where the elderly are hired for simple jobs such as tending to the cleanliness of airports. He noted that young foreigners dominated such jobs in Malaysia. What will happen when more people claim pensions and fewer people earn taxable income? The Immigration Department continued its tough stance on undocumented foreigners following raids at two malls in the heart of the city centre yesterday. The department, joined by policemen and National Registration Department personnel, screened 260 foreigners during their raids at Low Yat Plaza and Imbi Plaza. Some 125, aged between 25 and 40, were arrested for various offences including wrongful use of social visit passes, overstaying and carrying fake documents. From the 125, 105 were men while the rest were women. Those detained were sent to the Bukit Jalil Immigration detention centre for further questioning before being deported back to their respective countries. Immigration Department director-general Datuk Seri Mustafar Ali led the operation that comprised 170 personnel. He said the joint operation would be carried out regularly to detect, detain, charge and deport illegals here. “Let me once again remind the public and employers especially, not to employ, harbour and protect illegal foreign workers as those found guilty will face stern action,” Mustafar said. Yesterday’s raids came barely three weeks after operations at another mall in Bukit Bintang. Mustafar disclosed 5,908 operations were carried out from Jan 1 to Tuesday. Of the 562,654 foreign workers screened, 17,971 of them were illegals. Some 19,457 were deported while 497 employers were hauled up for employing or harbouring illegal foreign workers. Mustafar reiterated the government had given a grace period until June 30 for employers to register their illegal and undocumented foreign workers for their e-cards. “So far only 85,000 have registered for their e-cards and this number is well below the estimated target of between 400,000 and 600,000. “I hope employers will take the opportunity to do the right thing and register their undocumented foreign workers as soon as possible as we will be carrying out continuous enforcement with raids, inspections and screenings across the country,” he said. On April 29, Mustafar led a joint operation together with four other government agencies at Pavilion Kuala Lumpur where 211 illegal foreign workers were detained. Some of the 125 undocumented foreigners sit in front of Low Yat Plaza following yesterday’s operation. An employee outsourcing company was today fined RM32,400 by the magistrate's court for two labour-related offences. Human Connection HR (M) Sdn Bhd was fined RM24,000 for 18 charges of failing to obtain consent from the Director-General of the Selangor Labour Department to deduct RM100 each from the wages of 18 Nepalese workers for their accommodation. The company was also fined RM14,400 for 16 charges of failing to pay the minimum wage of RM1,000 as stipulated in the Minimum Wages Order 2016 to 16 Nepalese workers for three months, beginning Aug 2016. The company, which was represented by its human resources manager, Salmah Ali, pleaded guilty to committing all 34 offences at its office at No 4, Jalan 241, Section 51A near here on Sept 10 and Dec 10, 2016. 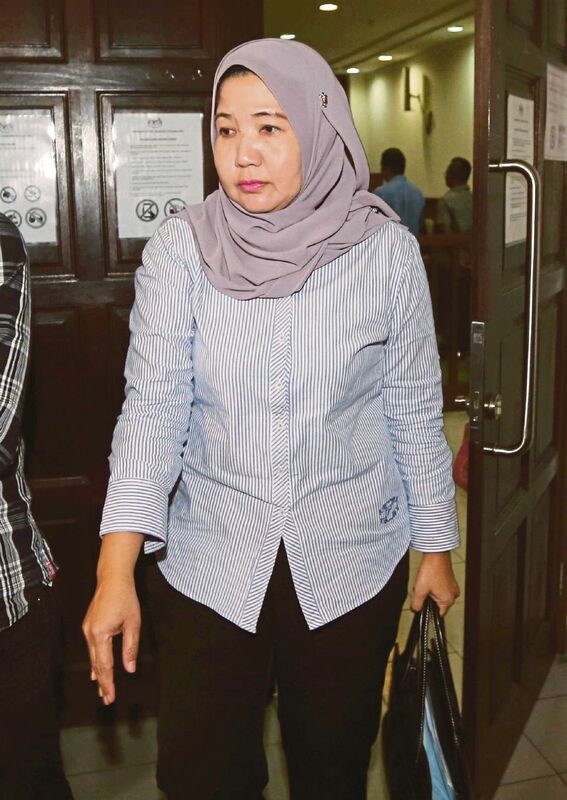 In seeking a lenient sentence, Salmah told magistrate Mohd Azali Ibrahim that the company did not pay the minimum wage to the foreign workers because the company faced financial difficulties in 2016, but that the outstanding amount has been paid. As for the wage deduction for the workers’ accommodation, she said that the company had, in Sept 2016, applied to the Labour Department for approval – which was obtained in Feb, 2017. Prosecuting officer Siti Nur Alifah Hairuddin, from the Selangor Labour Department, said deducting wages from employees’ salary is a serious issue, because workers are entitled to their salaries. "The RM100 deduction for each worker for accommodation is also too much. 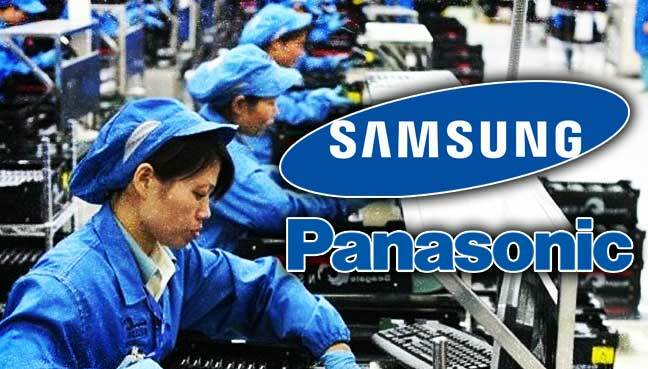 The department only approves a deduction of up to RM50 per employee. And the government had introduced the minimum wage to improve peoples’ living standards as Malaysia heads towards developed country status. "In this case, those involved were all foreign workers and the incident created a negative impression of the country, as the matter was highlighted in the 'The Guardian' newspaper in England, which stated that fast food company workers were being exploited in Malaysia," Siti added.